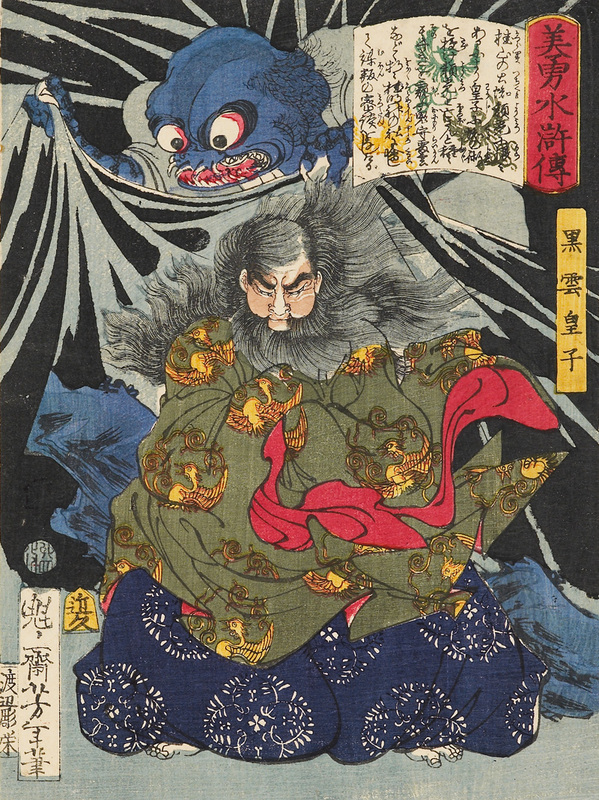 Belief in the supernatural is deep-rooted in Japanese folklore. According to Japan’s native Shinto religion, gods reside everywhere – in the forests, the fields, the mountains and in the home. The arrival of Buddhism during the sixth century AD brought with it a host more supernatural beings, and many Chinese tales of spirits and monsters were also absorbed into Japanese tradition. Obake, the Japanese word for ghost, means ‘something that is transformed’. There are many kinds of ghosts in Japan, including household objects that come to life, animals with supernatural powers, wicked demons and the vengeful spirits of cruelly-wronged women. These beings have long been represented in Japanese art and literature – depicted in paintings and prints, carved as netsuke belt toggles and dramatized for the kabuki theatre. The ukiyo-e woodblock prints shown here all date from the mid-19th century, when artists competed to satisfy the public’s appetite for images of the bizarre and macabre. 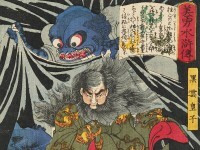 Prince Kurokumo and the earth spider, by Tsukioka Yoshitoshi, Tōkyō, 1867 (Museum No: EA1971.213). 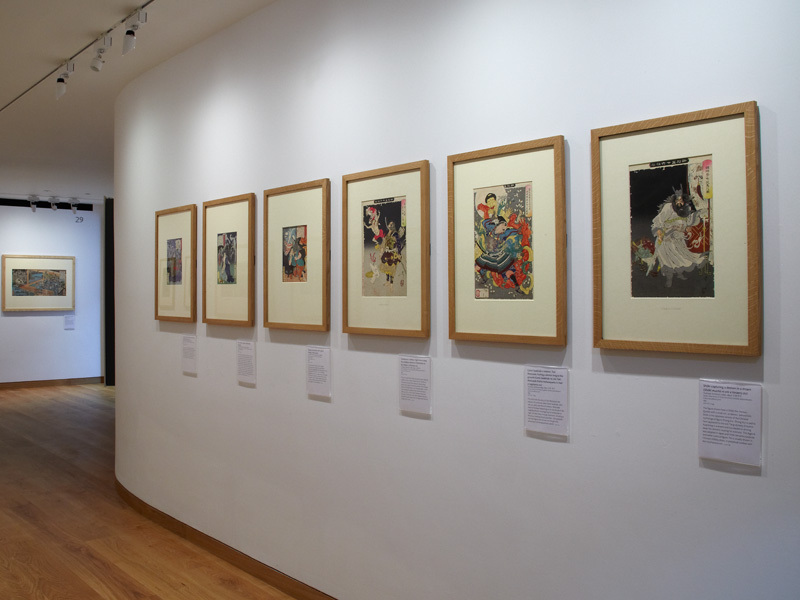 Eastern Art Paintings Gallery - Japanese Ghosts and Demons exhibition. 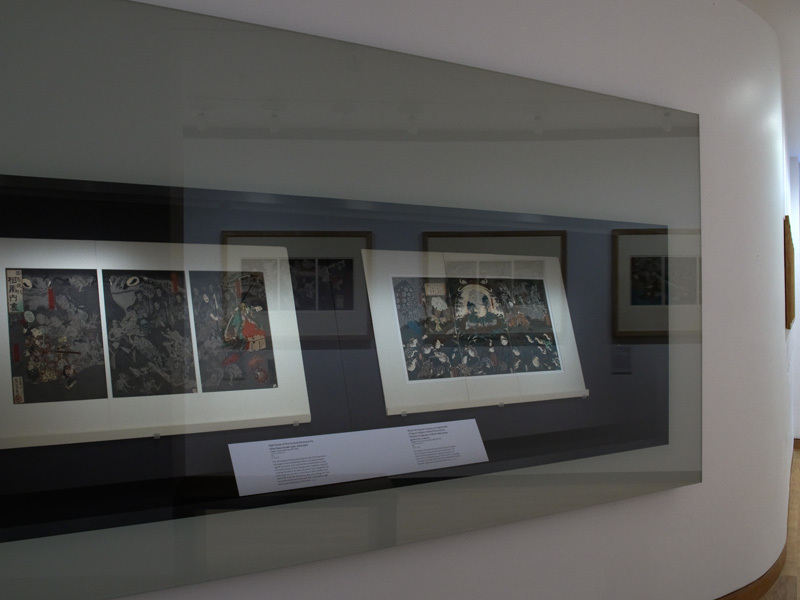 Eastern Art Paintings Gallery - Japanese Ghosts and Demons exhibition. 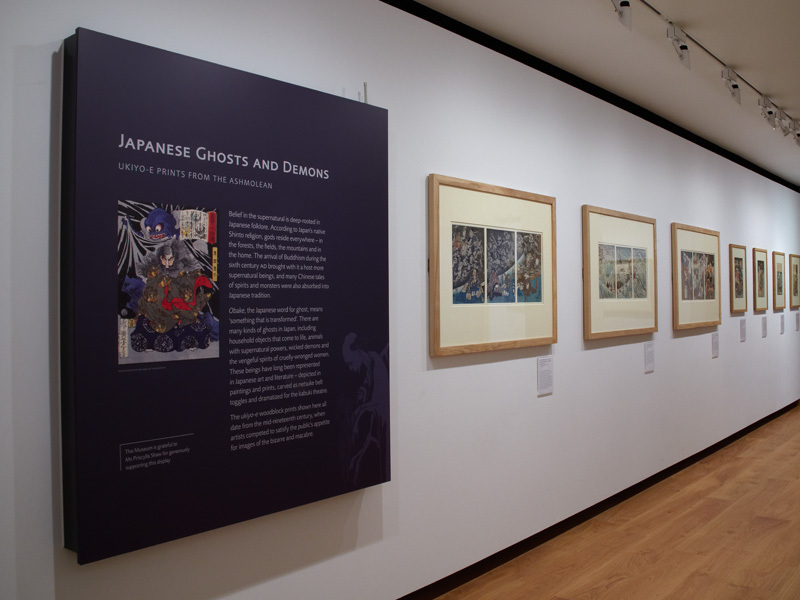 Eastern Art Paintings Gallery - Japanese Ghosts and Demons exhibition.